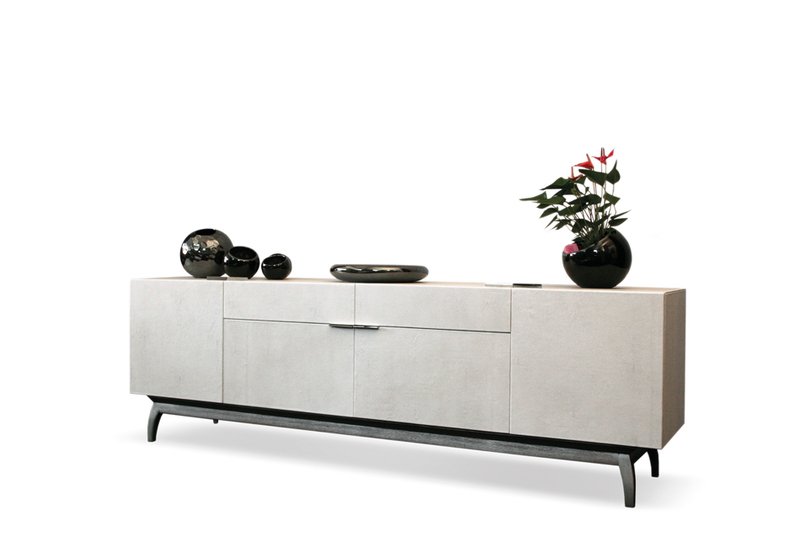 Balance and functionality are adjectives for this sideboard. A touch of refinement with noble finishes. Galuchat Leather covered, interior in Oak wood stained in a grey patina and satin varnish. Stainless Steel handles. - Brass or Stainless Steel handles designed originally by Larforma. - Can be Bespoke with the veneer options in our range, as well the finishing on the OAK range. - Available in all Larforma fabrics and leathers; available in C.O.L. 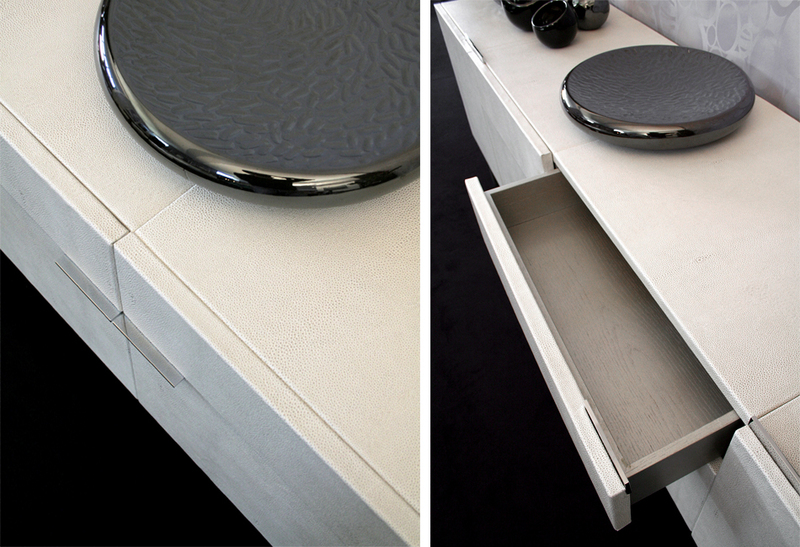 - Two drawers with soft close. - Other finishes and inside equipment upon request.